We have received details from the county board regarding our ticket allocation for the replay. There has been a very slight increase on the amount of tickets we received for last Sunday. Any juvenile tickets that we order will be taken away from our adult allocation. The potential juvenile allocation is very small. Club officials will be meeting later today to discuss this option. Demand at this stage is far exceeding supply and is greater then demand for last weekend. There is no hope of the club looking after all requests and we urge everyone to look around the country for tickets. We intend to look after our own club draw members, coaches and players and sponsors as best we can. There is very little chance of people not involved in the club receiving tickets. 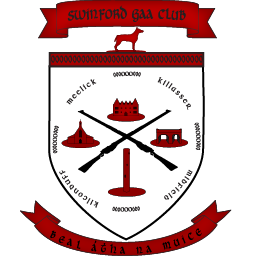 Please send requests to secretary.swinford.mayo@gaa.ie and please be realistic in your requests. At this stage we are not aware of potential further allocations but we will post updates as we become aware of them.